What a pleasant surprise! It was supposed to arrive on Friday this week while I would be away for a one week trip. it came two days early. . . and it is gorgeous, beyond my expectations. And it is the perfect fit. Thank you for your speedy delivery and an outstanding product! Dear Millybridal UK, I write this to you just want to express my gratitude to the staff. The dress is so beautiful and I like the color very much. The color daffodil conforms to the theme of the occasion. I will come back to Millybridal UK in a very short time. Thank you again for your big help. Wow, the dress is so good as expected. I like its simple design very much. The color and design are exactly like what is shown on the website. I like the fabric chiffon because I feel the fabric chiffon is very comfortable. Thank you very much!!! The dress is very pretty. I was very hesitant to order on line, I was afraid it wouldn't arrive in time, but now I have at least a month for alterations! Thank you. I'm very pleased. I think I will buy more dresses from you in the future. I am very impressed with the delivery time. The color is beautiful. I was disappointed with the length of the dress. On the model is is right at the knee, on me it is above the knee. One of the reasons I choose this dress was the length. I was hoping for a little longer length like the model. 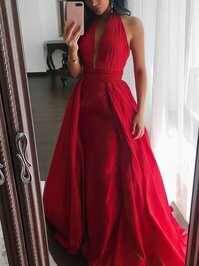 so shinning and charming prom dress! I can not believe my eyes. Thank you so much!! Awesome! It fits like a glove! I expected something beautiful but this is exquisite!